The influence e-books have on their paper-based cousins is still a hot topic for debate. However, a recent New York Times opinionator blog adds a note of optimism. In his The Reading Renaissance post Timothy Egan points to figures from the American of American Publishers, which show an overall rise in books sold across all formats. The suggestion is the more people read the more they want to read, regardless of the medium. With e-readers in the UK edging towards the sub-£50 price point, and the rise in popularity of digital newspaper subscriptions, this has to be an encouraging sign. Speaking as a writer, long may it continue. Are you a would-be author? How about creating your own e-books? In a six page article I consider some key questions to answer, investigate online e-book creation services, talk about Amazon's Kindle tools, discuss editing an e-book with Sigil, and hint at the possibilities of app-books with Apple's new iBook Author. It's all in the mid-April Micro Mart magazine, issue 1204. LuLu is an old hand at the DIY book publication game and has generated considerable respect, many complementary reviews and a loyal following. The range of services on offer, flexible options and attractive deals for authors means LuLu is a useful benchmark when comparing competitive e-book publishing services. A big plus is the financial deal: 90% for the author and 10% for LuLu - pretty much the maximum you're likely to receive anywhere. To get started the site presents a straightforward six-step process. It leads you through uploading the book content, creating a cover, adding a book description and setting the sale price. At each step there's plenty of helpful information about the options available and the implications of certain choices, such as using a LuLu owned ISBN rather than your own to reduce costs. The last stage of the process provides details of their optional promotional services aimed at raising your sales figures. LuLu's e-book creation process is focussed around handling textual content and images. Input formats include the various Microsoft Word document types plus the universal RTF format. And there's plenty of advice on offer, such as discouraging the use of tables, charts, scientific equations as many e-reader will not be displayed them correctly. So, what is an EPUB file? In essence it's just a zipped container which holds a collection of HTML, CSS and XML files. Any unzip tool will be able to extract the file contents, even though it has an '.epub' file extension rather than the more usual '.zip' one. So, after the EPUB file is unzipped what do we see? Taking the 2.0 specification, the root folder will contain all the content files, in HTML or XHTML format, plus a few special files such as 'content.opf' and 'toc.ncx'. In addition there are a number of appropriately named subfolders to contain images, style definition and any special fonts. The files 'content.opf' and 'toc.ncx' are in EPUB-specific XML format. As you can no doubt guess they are instrumental in providing the table of contents, and so they need to be kept in sync with each other. While there could be just a single e-book content file, in practice an EPUB book is usually broken down into a collection of small chunks. The number and length of these chunks is completely at the discretion of the e-book creator, although new sections and chapters are obvious divisional candidates. Typically you also find a separate file for the book's cover, in addition to files for the introductory pages and index. To ensure your e-book is supported by the widest range of e-reader devices you should only use simple HTML. The more HTML elements you include and the more sophisticated your styles become, the more chance there is of something not being displayed too well. Download the free Micro Mart iPad/iPhone app and purchase the magazine for only £1.49. In Micro Mart magazine issue 1203 I investigate if Apple are about to enter the mobile payment arena with an iWallet product. The article focuses on a couple of Apple patents for a virtual SIM and an iPhone-based cashless payment and management system, which also includes multiple card account administration via iTunes. Apple's latest iWallet-type patent is a comprehensive piece of work. Published under the guise of 'Parental Controls' it incorporates numerous iPhone-style apps screen drawings, associated operational descriptions and banking interfaces. The patent defines an extensive and flexible list of transaction control options. All controls can be applied by a primary account holder on behalf of other subsidiary account holders, such as for your children for example. As you'd expect there are single transaction and daily spending limits, just as you'd find with the current range of NFC-enabled credit cards. However, with Apple's iWallet scenario you'll also be able to set times of day, add specific merchants, exclude certain products (such as alcohol or tobacco) and even define geographic boundaries (which will access the phone's geo-location information). In addition, mobile communications are used to send rule violation alerts and purchase authorisation requests to the parent account holder. An authorisation request can even have different timeout limits, depending on whether it's an in-person or online transaction that's being performed. Primary account holders can also define automatic credit top-ups schedules, such as a small daily allowance or a monthly lump sum. And, of course, all purchases will be tracked for subsequent online viewing. Read more Apple analysis posts. 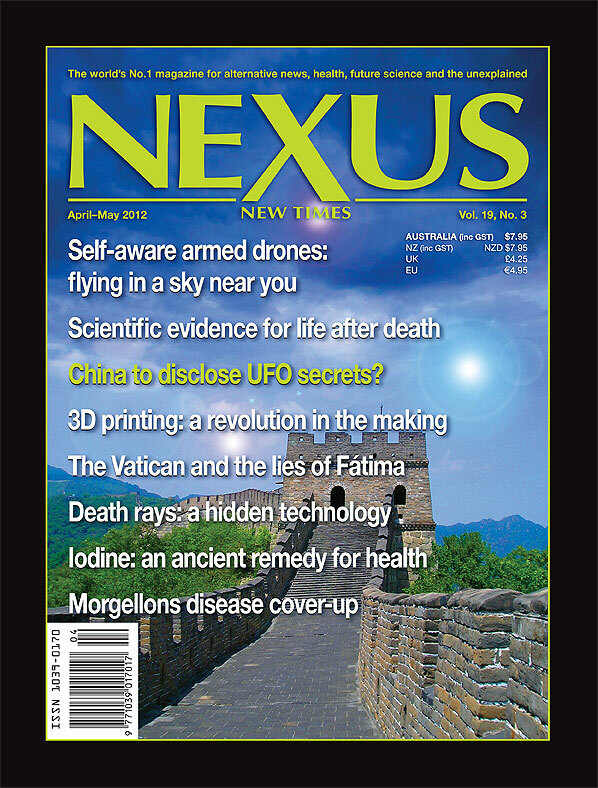 The April/May edition of the Nexus magazine has published a rewritten and slightly shorter version of my Affordable 3D Printing article. A basic 3D printer is uncomplicated in both design and operation. Typically it’s a cuboid frame supporting a print bed which moves in a vertical orientation, forming the Z axis. Above this bed, motorised arms propel the printhead in an X and Y axis motion. The printhead guides and heats the print material, which is extruded onto the print platform, rather like ‘hot glue’. How big is this cuboid shape? Well, that’s really dependent on the items to be printed. Small items only need a small printer - one which takes up no more space than a inkjet paper printer. For larger items the whole assembly is scaled-up, as exemplified by a number of initiatives looking into printing full sized buildings. Even with industrial sized construction and a printhead gantry running on rails, these machines are instantly recognisable as big brothers to the desktop 3D printer. A 3D printer’s on-board computing requirements are pretty basic too. Being more akin to a motorised calculator there's just a few circuit boards, and a PC connection port to receive a multi-layered 3D digital model. Once a model is received, printing a layer simply involves controlling the flow of material and the printhead's X and Y motion. After each layer it will move the Z axis print platform according to the previously specified print resolution. The processing power and software required to create 3D digital models can be provided by the powerful computing devices we already own. Harnessing our existing computing resources helps to keep down the start-up costs, and there's already a large choice of commercial and open source 3D modelling applications. Widespread 3D printer adoption would encourage software developers to create additional innovative applications, some of which could be targeted at tablet and smartphone devices. This international magazine is available from your local W.H. 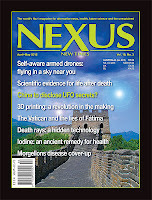 Smiths, and the article itself can be purchased online from this page.